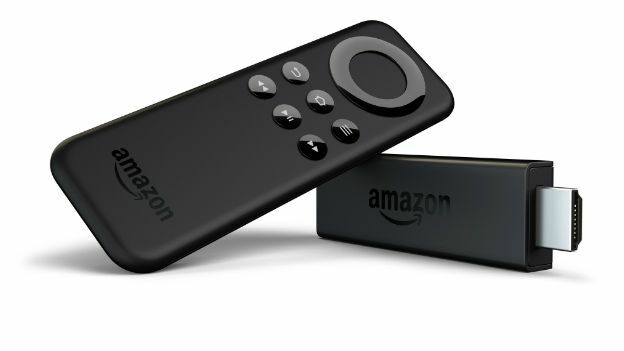 As Google is rumoured to be releasing its version of Fire TV - the Nexus Player - in the UK, Amazon has announced that it is releasing its version of the Chromecast - the Fire TV Stick - to us lucky Brits. Confused? Don't be, the whole thing is really simple and the upshot is, Amazon's terrific little Fire TV box is now available as a device that just slots into a spare HDMI socket on your TV. It's more powerful that Google's Chromecast, with twice as much memory. For those with specs on the mind, it's a dual-core processor, 1GB of RAM and 8GB of storage for apps. You also get a remote control, which you don't with Chromecast and there's also an app for your phone, if you can't find it. Unlike the Fire TV box, the remote doesn't have a built-in microphone, so you can't voice search with it - although the mobile app will let you do so. For those having some sort of brain issue, you can pay an extra £24 and get the voice control remote, but simple maths will tell you that's a truly absurd thing to do, just buy Fire TV if you really want that feature. You can share your phone or tablet screen with the Fire TV stick too, as long as your device is either made by Amazon, or supports Miracast (most do). You also get Amazon's rather smashing X Ray, which shows context-sensitive information to you as you're watching a TV show or Movie via Amazon Prime Instant Video. It sounds like a silly feature, but in fact it's really rather good. Even better news, if you are a Prime subscriber and buy the Stick in the first two days then you can get it for just £19. Anyone who isn't yet a Prime subscriber, but who sign up for a year can get the stick for just £7. Everyone else can grab it for a fairly modest £35. The new Amazon Fire TV box will deliver Ultra HD content to your home and speed up 1080p movies and shows too.